On the way through Guntersville last weekend, Scott, Rob and I made a detour up the mountain to Papa Dubi's Cajun Kitchen. 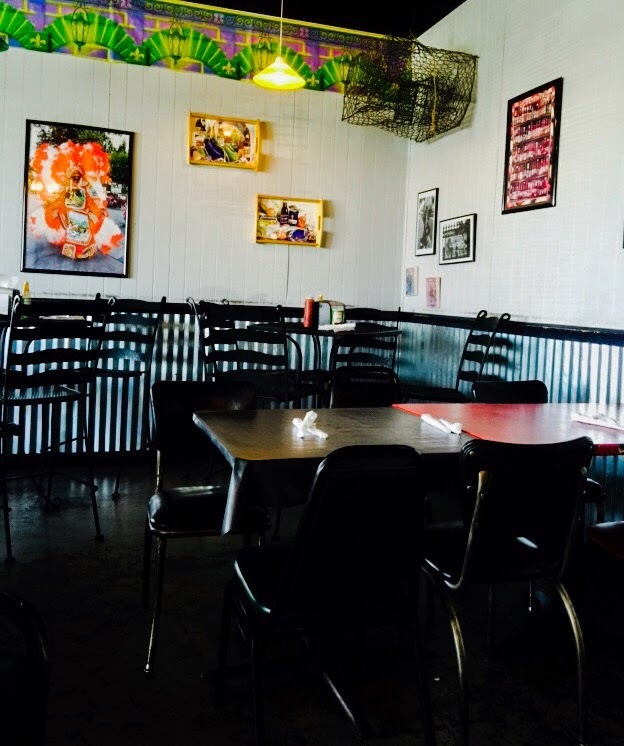 Papa Dubi's, named for the Cajun grandfather of one of the owner's, was one of Sherri's favorite places to eat. She loved good, fresh seafood. The guys and I got there right before 12:00 pm on a Sunday and were seated right away, but not long after we arrived, the tables started filling up. If you are going to Papa Dubi's for lunch on Sunday, keep this in mind. The restaurant is not large and it fills up pretty quickly when the churches start letting out. After our drink orders were taken, we studied the menus. 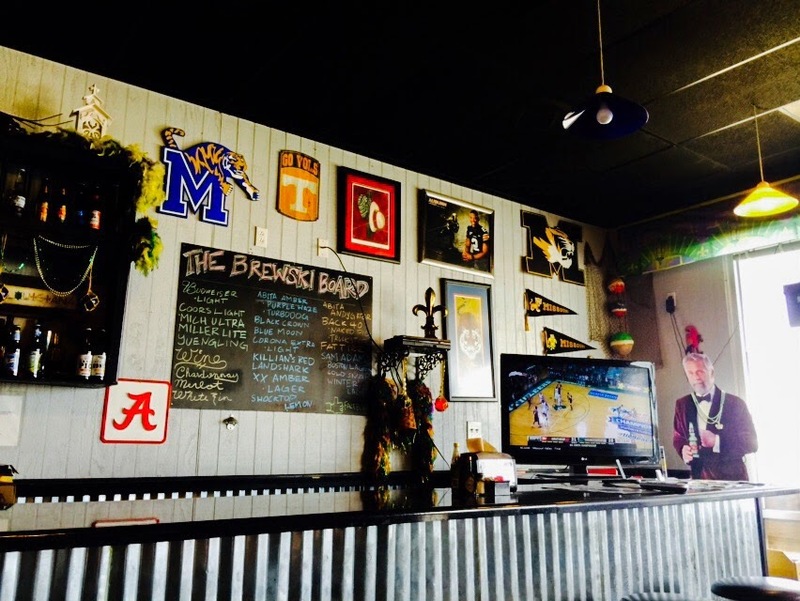 There were lots of tasty sounding seafood and Cajun choices. Here's what we ordered. Scott chose a half shrimp poboy. The half order was huge. I cannot imagine being able to eat a whole order. The overstuffed sandwich looked delicious. Scott said the bread was really good, crusty and fresh. He also requested some remoulade sauce to go with his sandwich. 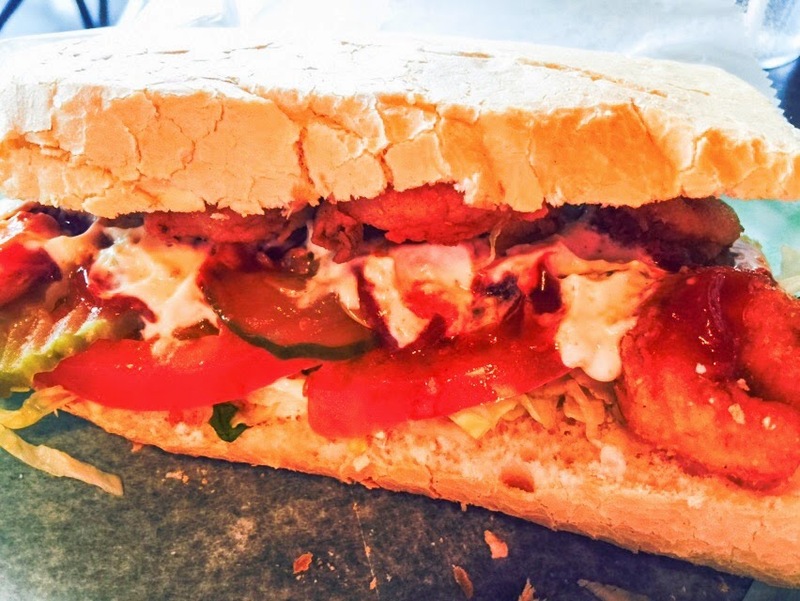 I suggest you do the same if you order a poboy, because that remoulade sauce was wonderful. I chose a cup of gumbo and coconut shrimp. I loved them both. 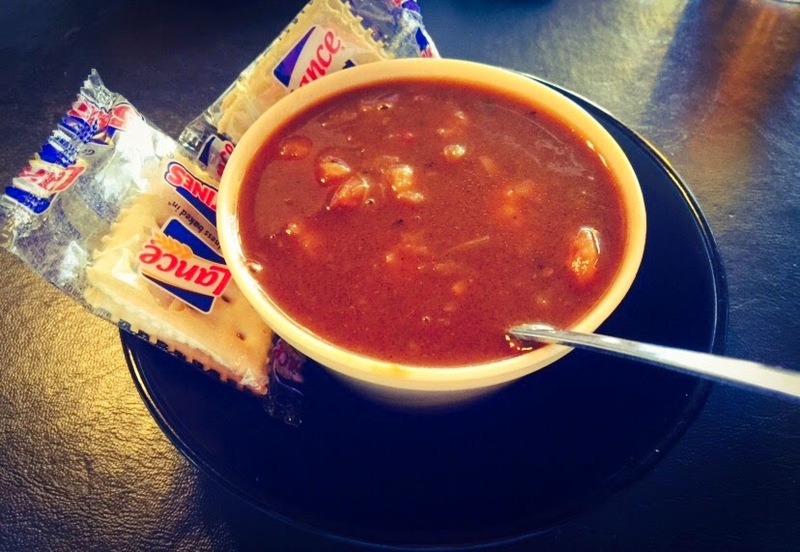 The dark gumbo was rich, spicy and full of seafood. Rob liked it, too (he ate half my gumbo). The coconut shrimp was crispy and coconutty and came with a wonderful sweet and spicy Jezebele marmalade sauce. I really liked the slaw that came with my meal. It was mayonnaise based and slightly sweet. I dipped my French fries into some of that delicious remoulade sauce. Yum! 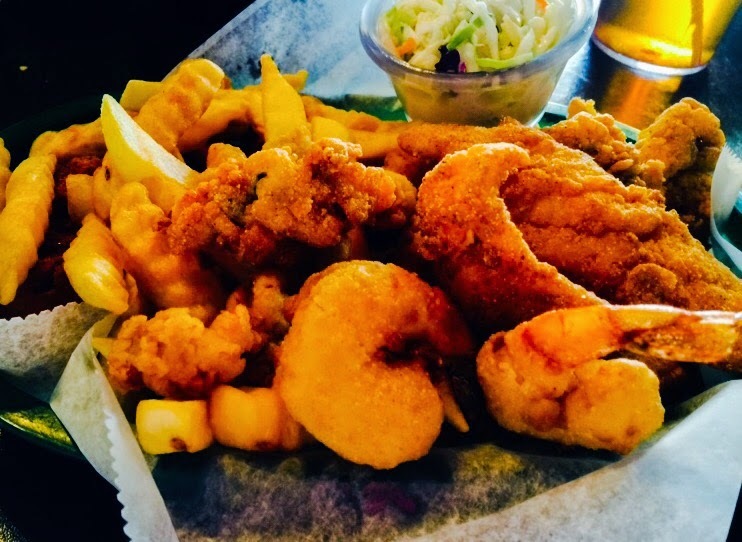 Rob couldn't decide, so he ended up with a little of everything on a seafood platter. 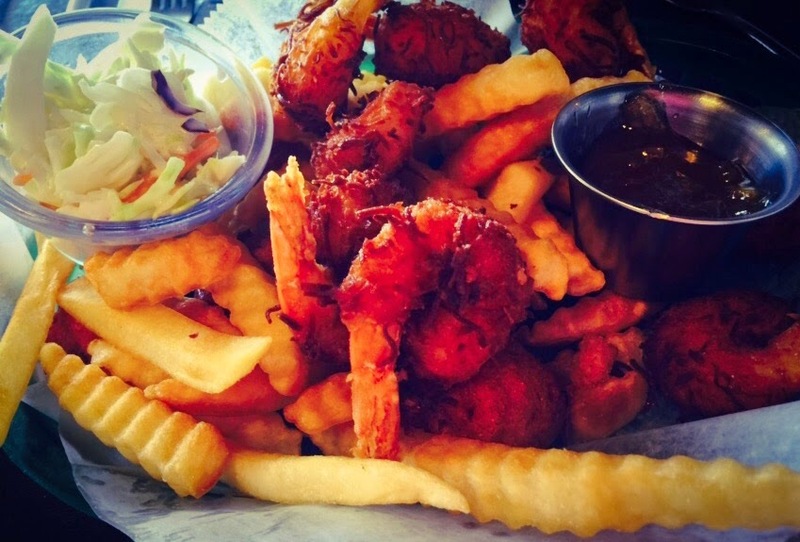 He had oysters, shrimp, clams and fish with French fries and slaw. He ate every bite. We all loved our lunches. 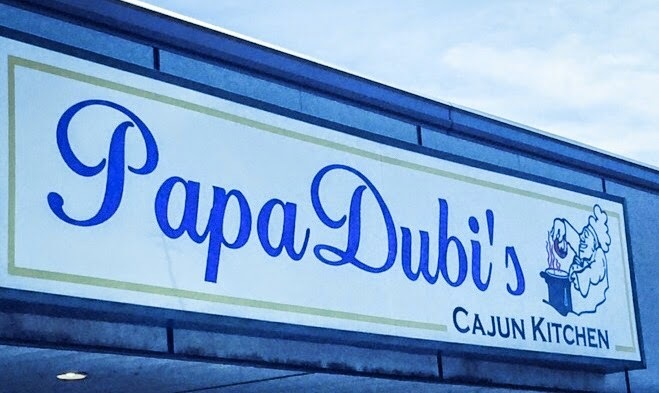 If you have a craving for fresh seafood with a Cajun flair, head straight up Sand Mountain going from Guntersville toward Albertville and give Papa Dubi's a try. You will be glad you did. Ayeee!